The loss of near vision is a natural part of the ageing process. It is referred to as age-related near-vision loss or presbyopia. 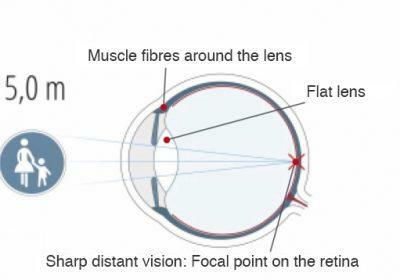 However, if you are affected by age-related changes to the lens of the eye, you no longer have to resort to glasses or contact lenses as your only vision correction choice. Although presbyopia cannot be prevented, it doesn’t follow that you will have to depend on a visual aid (such as reading or varifocal glasses) for the rest of your life. If you have noticed that your vision has deteriorated and glasses are not an option for you, one of the high-volume surgeons at our lasik germany® centres are generally able to help. 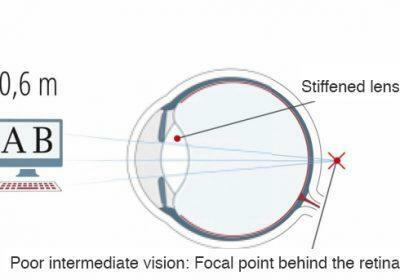 The information provided below will explain the options available to you to treat presbyopia. Vision generally starts to deteriorate increasingly between the ages of 40 and 50. If you are starting to have trouble deciphering small print and anything close by is appearing out of focus, you are experiencing the first signs of age-related vision loss. When that happens, you will have to take action to correct your vision, as it will not do so by itself. What are the causes of age-related near-vision loss? If you would like explore an alternative to wearing glasses or contact lenses, we will be happy to provide you with detailed advice on the options available at one of nationwide lasik germany® centres. You are also welcome to contact us at any time for expert advice from one of our highly experienced eye surgeons. Patients suffering age-related near-vision loss of up to +3 dpt. can generally be treated with the SUPRACOR LASIK procedure. This procedure is a unique LASIK surgery procedure designed for use where the aging process of the eyes and the associated loss of vision has already progressed beyond a certain point. SUPRACOR surgery is performed on an outpatient basis, just as all LASIK surgery is. This means that this innovative laser eye surgery only takes minutes to perform and allows you to regain full vision within a matter of hours. 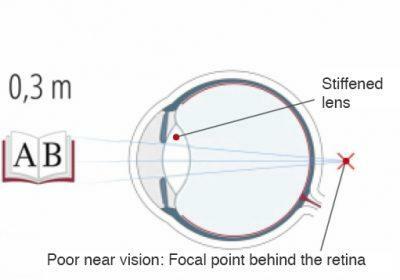 If you are affected by age-related near-vision loss and would like to undergo laser eye surgery at one of our lasik germany® centres in Hamburg, Munich, Stuttgart, Berlin, Hannover, Frankfurt or Oberhausen, we will perform extensive tests to establish the laser methods best suited for you in advance of the procedure. SUPRACOR LASIK surgery involves the use of ultra-modern high-tech lasers to make sure that your vision will be as sharp as ever regardless of age. All laser surgery is furthermore performed by eye surgeons who are independently performing more than 1000 LASIK procedures a year. Managed by Dr. Jörg Fischer, you will be in the best of hands at any of our lasik germany® centres in Germany. Don’t let ageing take the sharpness from your vision and choose a no-glasses approach to clear vision. We are looking forward to hearing from you!